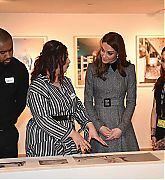 This morning, (December 11, 2018) The Duke and Duchess of Cambridge visited Evelina London Children’s Hospital and The Passage Charity, the UK’s largest Resource Centre for homeless people & provider of accommodation & homelessness prevention projects. 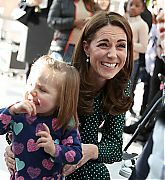 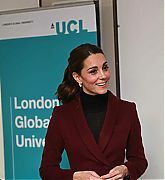 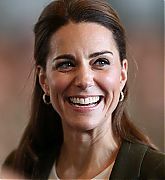 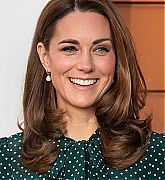 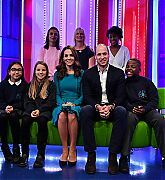 To kick off their visit to Evelina London Children’s Hospital this morning it was announced that The Duchess of Cambridge would become Patron. 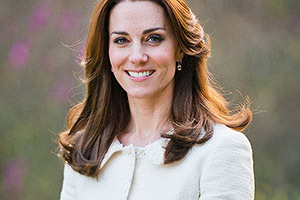 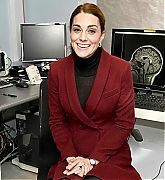 Kensington Palace says the new Patronage “provides an opportunity to champion the medical professionals working on the front-line in children’s healthcare, and shine a light on their work supporting children in their early years.” Evelina London is part of Guy’s and St Thomas’ NHS Foundation Trust, of which Her Majesty The Queen is Patron. 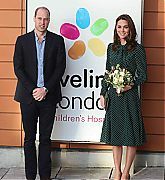 At Evelina London The Duke and Duchess met children receiving care at the hospital, heard from staff and parents about Evelina London’s life changing care and support for families. 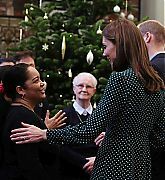 Their Royal Highnesses joined children as they took part in a number of Christmas-themed activities, before joining celebrations to mark the 150th anniversary of the founding of the hospital. 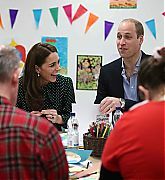 At the Passage Charity William and Catherine joined service users for an arts and crafts workshop to prepare cards and gifts ahead of the centre’s Christmas party next week. 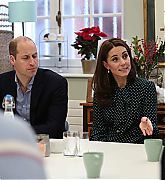 They also heard from frontline workers about some of the challenges relating to street homelessness, including drug addiction and mental health issues. 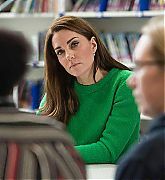 The Duke and Duchess of Cambridge met staff and volunteers to learn more about their work linking clients into statutory services and minimising harm. 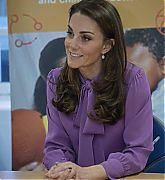 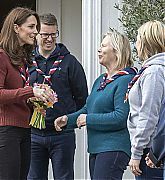 The new patronage has been announced ahead of Her Royal Highness’ visit to Evelina London later this morning with The Duke of Cambridge. 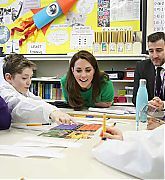 The visit will see Their Royal Highnesses learn more about how the hospital supports children and their families, and the specialist services provided to children with rare and complex conditions. 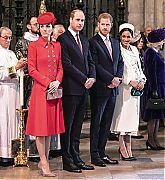 The hospital, which is next year marking its 150th anniversary, is part of Guy’s and St Thomas’ NHS Foundation Trust, of which The Queen is Patron. 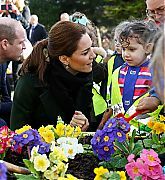 Evelina London cares for children and young people from before birth, throughout childhood and into adult life. 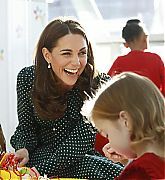 The hospital provides a range of services to children across south London and south east England. 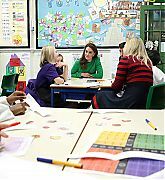 Evelina London also provides community services for children and their families in Lambeth and Southwark. 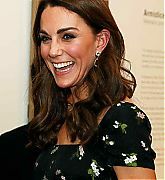 Today, (December 04, 2018) The Duke and Duchess of Cambridge hosted a Christmas Party for the familes of RAF personnel who are deployed to RAF Coningsby and RAF Marham in Cyprus. 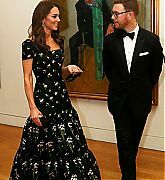 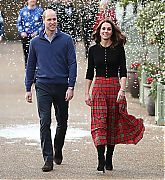 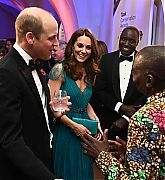 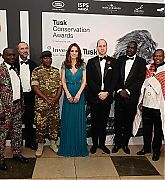 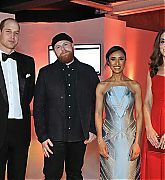 William and Catherine kicked off the festive event by arriving under a shower of artificial snow before heading inside the The Orangery at Kensington Palace to mingle with about 200 guests including spouses, children and grandparents. 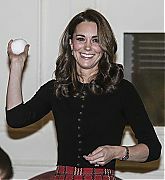 Their were plenty of activities to choose from including cracker making snow globe decorating and mock snow ball fights. 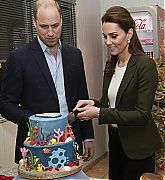 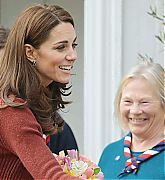 In a sweet gesture The Duke and Duchess asked children to bring gifts and letters that they would like to send their mothers and fathers serving in Cyprus to be hand delivered tomorrow when the couple visit RAF Akrotiri tomorrow where they will continue their message of support and thanks for their service during the holiday season. 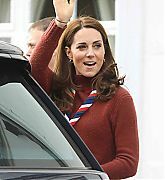 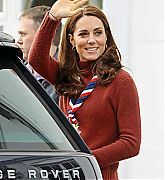 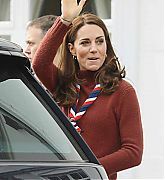 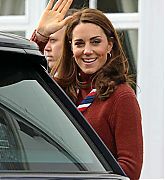 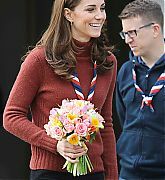 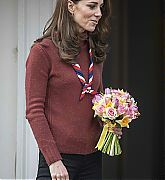 During the event The Duchess gave a speech where she recalled The Duke’s time as a RAF search and rescue helicopter pilot. 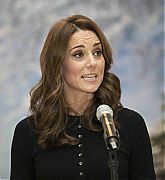 You can watch the speech here.